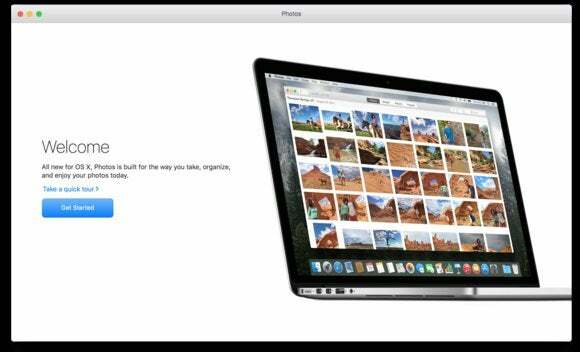 A reader wants to have a copy of his Photos Library on an external drive that looks like what he sees in the app. How do I backup the Photos Library so the folders remain organized in the external hard drive just like I have it in the Mac? I read this question and almost replied, “That’s easy!” But the more I thought about it, the more I realized it’s an intricate question, because of how Apple has its own organizational structure that’s invisible in the Photos Library, independent of how you sort images in the Photos app. And because there are several possible answers to the same question. The first question is, really, what is your ideal outcome for this copy on the external drive? An exact duplicate of the library. Quit Photos, if it’s active, find the Photos Library, and copy it. The Library includes 100 percent of everything that Photos needs. Done. But that’s probably not what Peter was asking. Copy the file structure of the folder in the Photos Library. You can Control-click the Photos Library and select Package Contents, and then access all the folders that form the library. 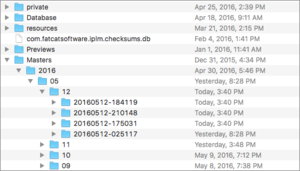 However, Photos organizes images and video into chronological folders— nested by year, month, and day—inside Masters (originals) and Previews (modified versions). This is probably not what Peter wants, either. Copy Moments, Albums, Smart Albums, and other organizational structures in the Photos app. Unfortunately, while Apple lets you select multiple images to export at once (via File > Export), you can’t export these album and other structures as folders. You could open albums one at a time, select all the photos inside, and then export them to a folder you create with the same name, but that’s manual and tedious, and doesn’t automatically update. The Photos Library organizes photos chronologically. I’ve recommended PowerPhotos ($30) before, a utility by Fat Cat Software that can merge, de-duplicate, and selectively copy Photos libraries, along with other tasks. But it can’t (yet?) provide that sort of clean export operation Peter wants.